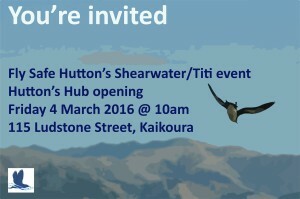 Launching the Hoki Ora Atu Tītī /Fly Safe Hutton’s Shearwater event. 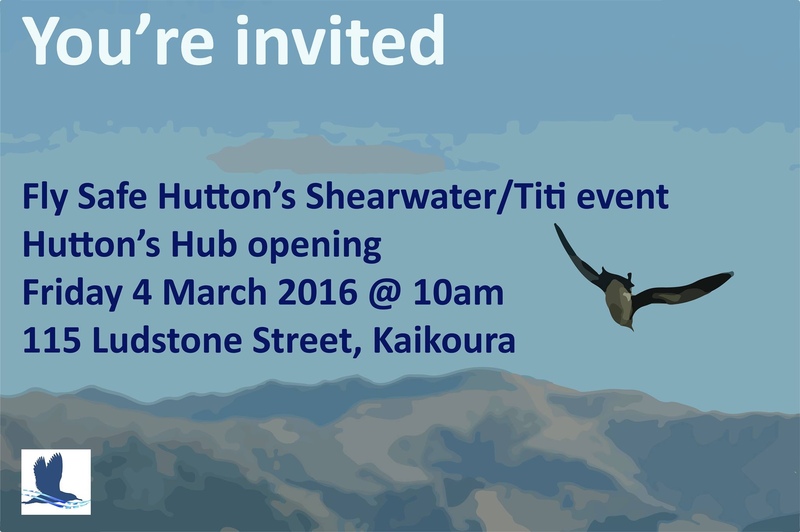 Join us at our Hutton’s Hub opening this Friday 4 March 2016, adjacent to the Department of Conservation office, 115 Ludstone Road, Kaikoura. 10am-4pm. All welcome! 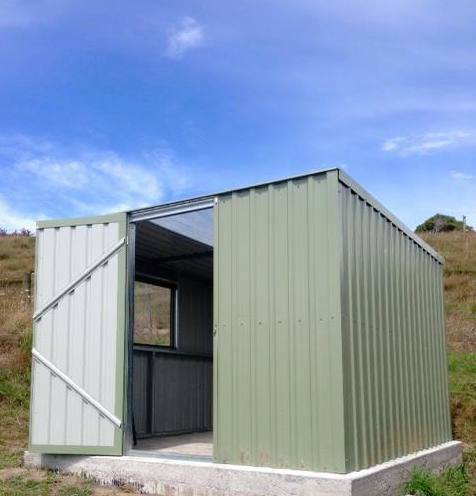 The ‘Hutton’s Hub’ will serve as the drop-off point for Hutton’s shearwater fledglings crash landing around the Kaikoura township each March/April due to light disorientation. Enjoy guest speakers, children’s activities, nibbles, Hutton’s displays, viewing of the Hutton’s Hub, and viewing a Hutton’s shearwater chick from the Kaikoura Peninsula colony!